Paul Flanders Design and Illustration. As fans of the Rover P5 you may be interested to look at Paul Flanders website (www.tragus.co.uk). I found this by accident whilst idly browsing the web for P5B images, and Paul kindly agreed to me using this image (which matches my car almost perfectly) on this website. 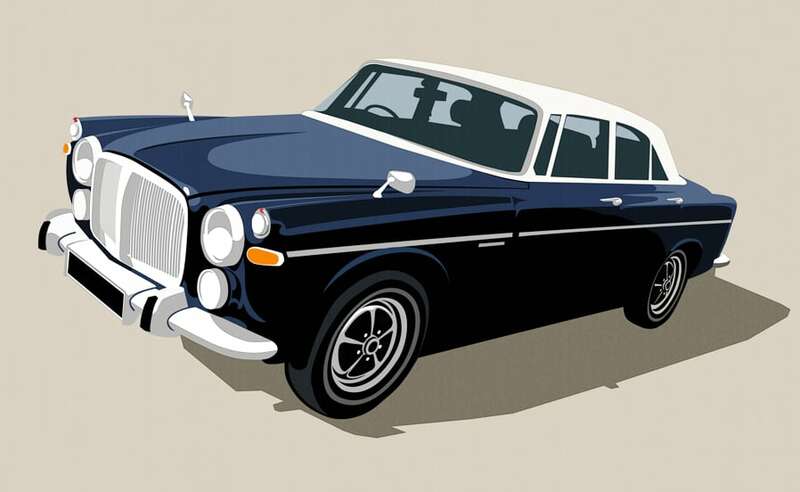 Paul has created some great designs of British cultural icons, from Micheal Caine in Get Carter (note the Jag as a bonus) through Bob Hoskins in The Long Good Friday and James Bond in You Only Live Twice, to The Selecter. Really high quality work.